Permissive Parking & Other Traffic Control Signs by Street Sign USA! 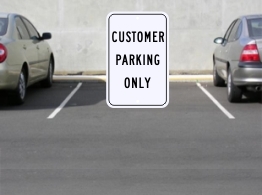 Permissive parking signs inform drivers as to where they have persmission to park as well as where not to park. For use on community streets, in shopping malls & corporate parks, campuses or where ever certain parking conditions may apply.